What is a sewage treatment system? Onsite Sewage Treatment Systems are underground wastewater treatment structures that use a combination of nature and time-tested technology to treat wastewater from household plumbing produced by bathrooms, kitchen drains, and laundry. Many residents of Warren County utilize individual home sewage treatment systems, since sanitary sewers are not accessible to a large part of the County. Our Environmental Health Staff issue installation permits and conduct inspections of all new, replacement, and altered (repaired) sewage treatment systems (STS) within Warren County in order to assure the installation was completed correctly and to code. The Warren County Health District (WCHD) works to prevent disease transmission and to protect the quality of surface and ground water by enforcing sewage treatment system rules and regulations. This is done by conducting inspections and providing education to homeowners and registered sewage installers. 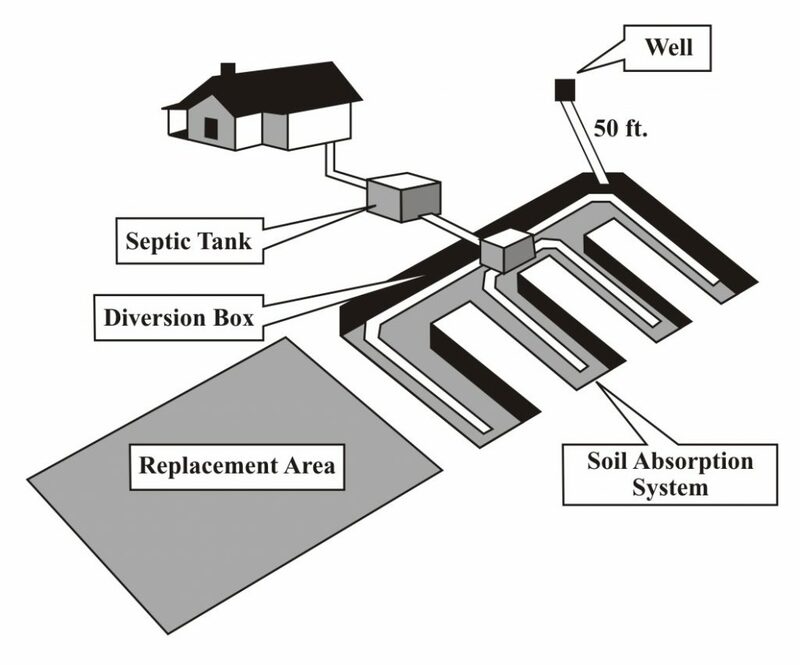 What do I need to do to have an onsite sewage treatment system? When purchasing a lot to build a new residence or alter an existing system, a soil evaluation must be completed by a soil evaluator who meets the requirements set forth in Ohio Administrative Code Chapter 3701-29. Once a soil evaluation is completed a system design must be made by a system designer that also meets requirements set forth in the Ohio Administrative Code. System design is based on soil characteristics protects ground and surface water resources, helps to prevent residents and neighbors from exposure to sewage-borne disease, and maximizes the life of the system. After the soil evaluation and system design the Site Review Application for a Sewage Treatment System must be filled out with this office to verify that the system design is appropriate for the lot based on the soil and lot conditions. The review will include the evaluation of the soil evaluation, system design, and a visit to the site. A Sewage System Permit to Install and operating permit must be obtained from the WCHD prior to installation. The registered sewage system installer must call to schedule an inspection prior to backfilling the system. Following installation and final approval of the sewage treatment system, the system is placed in the Operation/Maintenance Program whereby the sewage system is inspected by the WCHD staff within one year of installation and every three years thereafter. The WCHD staff also provides free consultative services to homeowners who are experiencing problems with their existing sewage treatment system upon receipt of a consultation request. The most recent version of the sewage treatment system rules are available at the Ohio Department of Health website.